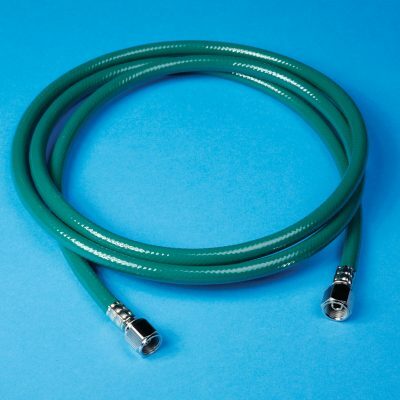 An oxygen source can be supplied from an in-house line, tank, or the EZ-R2OC Oxygen Concentrator. 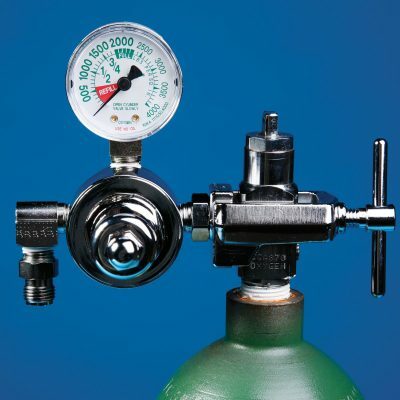 Oxygen Regulation – The oxygen functions as a carrier for the anesthetic gas and serves as a blending agent to control the concentration of anesthetic. 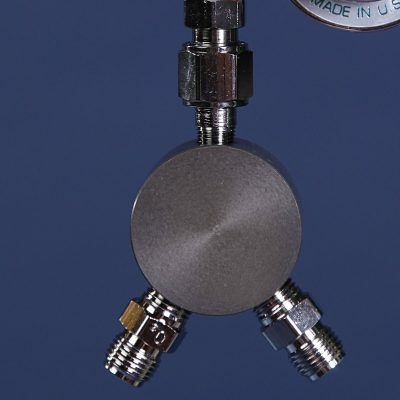 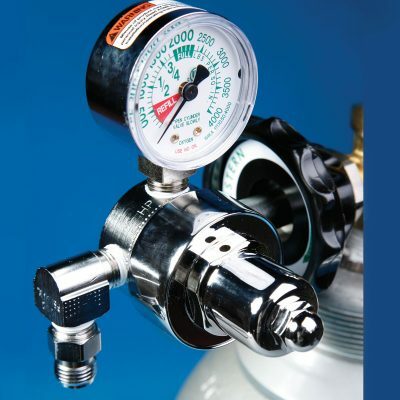 The oxygen regulator controls the pressure of oxygen from the tank into the anesthesia machine. 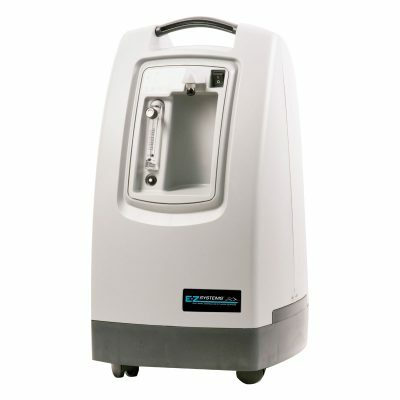 The EZ-R2OC Oxygen Concentrator eliminates the need for oxygen tanks or an in-house oxygen source.